Our second day in Switzerland began with an early morning visit to beautiful Mount Stansehorn. 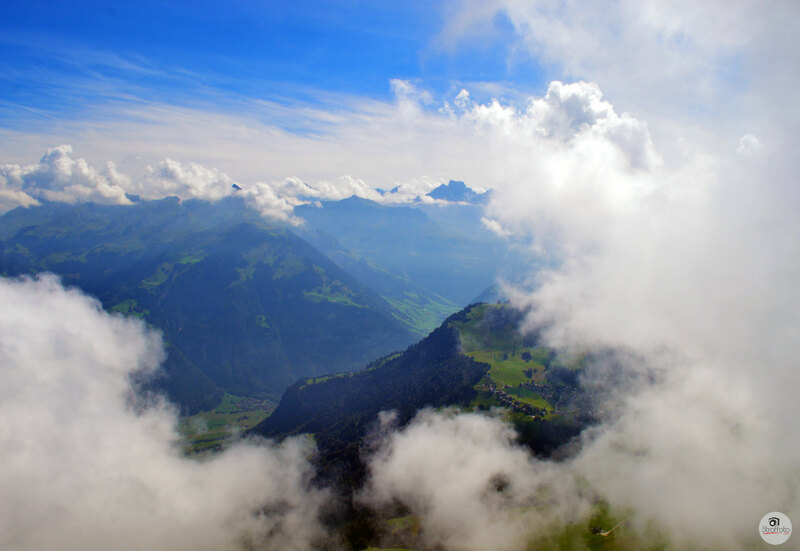 Located in the canton of Nidwalden, the mountain peaks at 1898 meters (6227 feet) and we had the unique opportunity to ride to the top in the world’s first double-decker open top cable car! 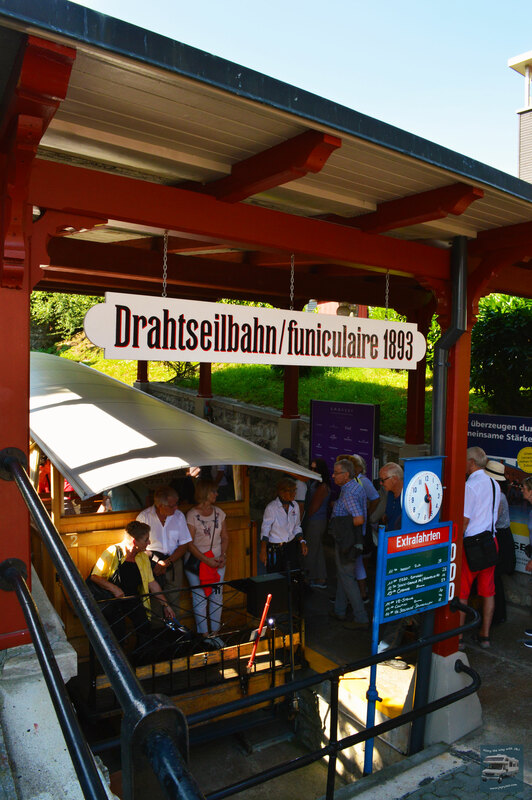 After arriving at Stans Railway station, we received priority boarding on the funicular cable car which brings you up the first leg of the mountain. From there, we boarded the CabriO, a marvel of modern technology offering a spectacular 360-degree view of the Swiss Alps. Small cottages lined the impeccably groomed landscape and our group took turns enjoying the view from the second level. The experience was equally frightening and exhilarating! Atop Mount Stansehorn sits Switzerland’s first revolving restaurant, Rondorama, which includes a buffet style café and a couple of banquet halls. We opted to eat our lunch on the “terrasse”, where most visitors were gathered to enjoy the beautiful day. Afterward, we checked out the small souvenir shop and then walked out to the circular observation deck overlooking the mountains. It was a bit foggy and windy, but we were able to get a few good pictures in between the cloudiness. Our next stop was the small farming town of Giswil, where we exchanged the coach for horse-drawn carriages and were whisked away through the Swiss countryside! Our guide Hans was delightful and shared stories about the local way of life. We visited the Roman Catholic Church of Giswil and ended the excursion at Hans’ lovely farm, where his wife Ermin had prepared a variety of tasty homemade drinks and cheese. She made a fruit platter especially for me, which I shared with our new friends while we chatted and enjoyed each other’s company. We loved this experience and the highlight of the afternoon was the baby horse that trotted alongside his mother pulling the carriage behind ours. 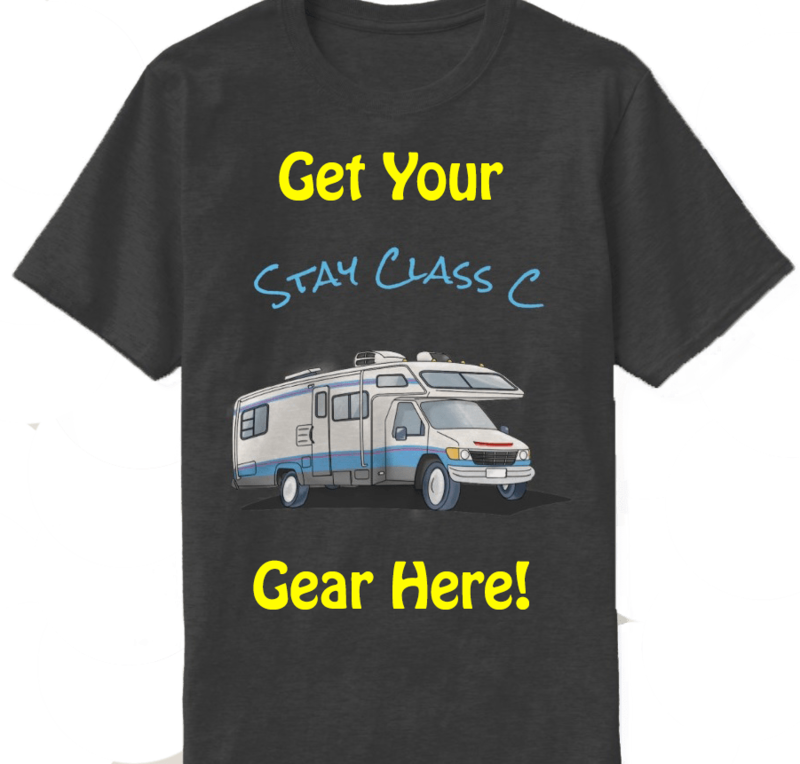 Check out the adorable pics! Once back in Lucerne, we spent the next couple hours shopping. Our first stop was Confiserie Bachmann, AKA “Chocolate World”, which is one of Switzerland’s premier chocolate shops. 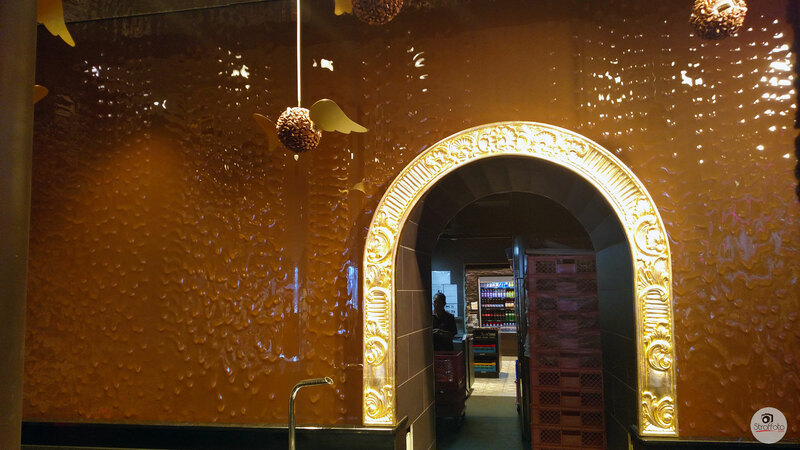 The main feature of the store is the “flowing chocolate wall”, which consists of 750 grams of cocoa extracts continuously flowing behind a counter of delicious truffles! After picking up some chocolates to take home, we stopped at a couple of the big watch shops and both picked up a Swatch watch, which was one of only a few brands in our price range. 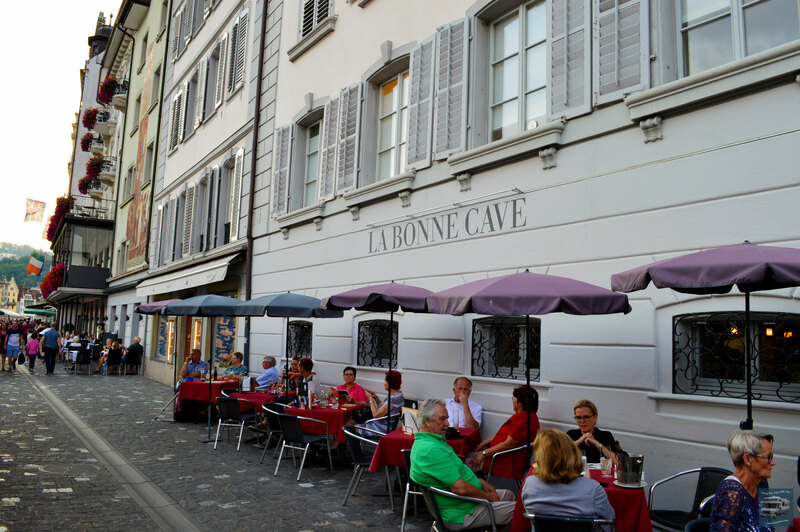 For dinner, we selected Jakob (La Bonne Cave), one of the several restaurants overlooking the Kapellbrücke Bridge. We were seated at a table along the water’s edge and enjoyed delicious Swiss pasta and a glass of wine while watching the sun set on another adventurous day in Europe. Check back soon to read about the next stop on the Road to Rome, beautiful Austria!